The family enterprise was founded in 1991 by Ing. Gerhard W. Meyer. MEYTEC GmbH Informationssysteme which belongs to the GSM group is an IT-TC system integrator operating throughout Europe. Originally it assembled electronic communication systems on base of telephony. Its expansion grounds on introduction of internet technologies and PC-based information systems. Video surveillance produced a further push for the enterprise. Hardware from all over the world is selected and tested to fit the customer requests. 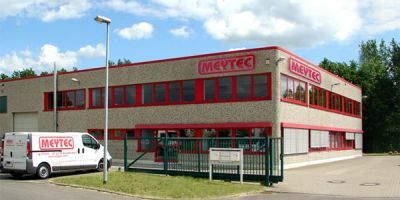 The head office of MEYTEC GmbH Informationssysteme is located in Seefeld/Brandenburg – few kilometres away from the German capital Berlin. MEYTEC GmbH Informationssysteme convinces with special solutions as well as complete ones fitting all customer demands in ICT. Since five years MEYTEC developed customer-oriented tele-medical solutions for digital transmission of medical data in the context of image-giving procedures. Furthermore, face to face contact between experts and patients via medical video communication was introduced. Thus, secure diagnosis’s can be provided in a very short time, a fact often being of vital interest. MEYTEC GmbH Informationssysteme designs and assembles the necessary infrastructure using the most advanced technologies for transmission of medical data in hospitals and care giver units. MEYTEC GmbH Informationssysteme develops portable units for wireless data transmission between medical home services and responsible family doctors. Approval of devices as medical products regarding German law is part of practice. The incorporation of specialists for biomedical engineering and stroke rehabilitation opened the introduction of video communication and telemonitoring into products concerning the relationship between patient and therapist. MEYTEC’s conception encloses the integration of hardware and software components at an early stage, the development of user interfaces and as main determinant the customer demands.